During the summer, the Hurao Language Camp at the Chamorro Village in Hagatna held several waves along Marine Drive. This is un såkkan botasion, an election year and so waves are about as common as Japanese tourists, with candidates sometimes standing in the early morning and the twilight hours, hoping to make eye contact with you as you speed by. Hurao’s wave was somewhat different. 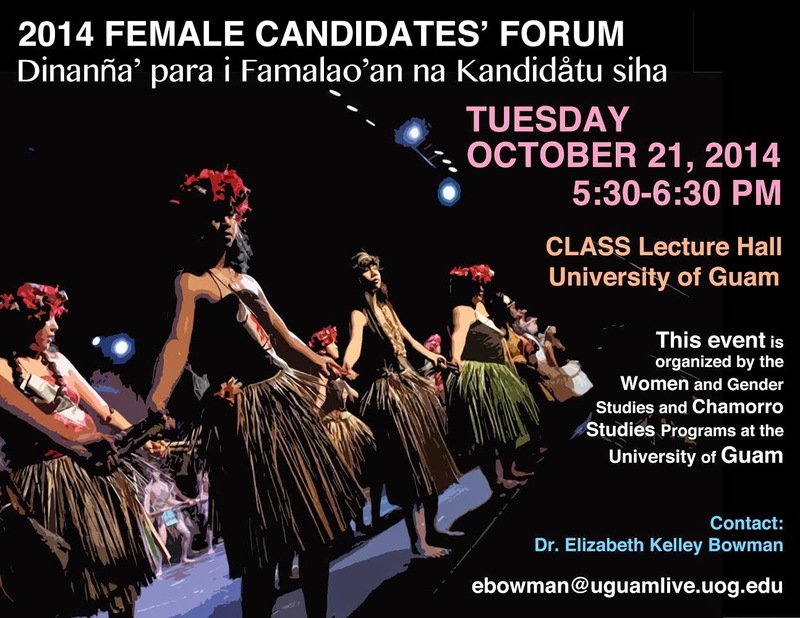 It wasn’t for any particular candidate, instead it was for “Fino’ Chamoru” or the Chamorro language. Children held up signs with “Håyi hao?” and “Hu tungo’ håyi yu’” on them, and shouted out “Bota Fino’ Chamoru!” to those driving by. Johnny’s Sablan’s immortal classic “Mungga Yu’ Mafino’ Inglesi” or “Don’t Speak English to Me” blared in the background. Mr. Obama’s Pacific MonumentBy THE EDITORIAL BOARD OCT. 1, 2014 The New York Times It’s safe to assume that most presidents have big ambitions and visions of lasting Rooseveltian achievement. Though, in recent history, the millstones of Washington’s pettiness and partisanship usually grind such dreams to dust. There are exceptions, which happen when presidents discover the Antiquities Act. This is the law, used by Theodore Roosevelt and many successors, by which the executive can permanently set aside public lands from exploitation, building an environmental legacy with a simple signature and without Congress’s consent. 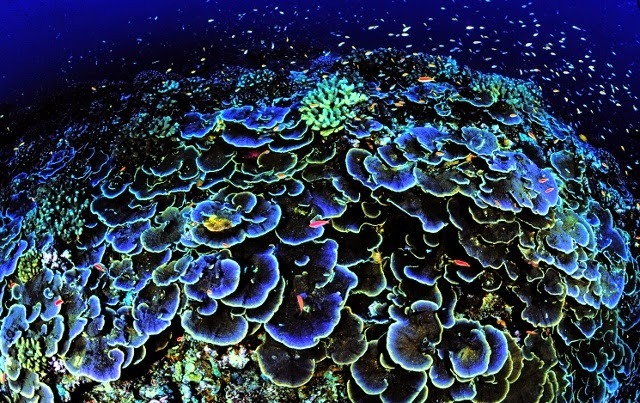 This is how President Obama last week, in addition to everything else on his plate, created the largest marine preserve in the world. Eight years ago on my blog, I started a series titled "Paluman Marianas," meant to feature different native birds of the Marianas and my drawings or paintings of them. I only did one, for I Tettot or the Marianas Fruit dove, and never got around to posting another one. I have plenty of drawings and paintings that feature Guam's birds, in fact with my daughter Sumahi, I've added quite a few more. Sumahi loves to draw in general, but I've tried to teach her as much as I can about the native birds of the Marianas. She can name many of them, probably more than most kids nowadays. 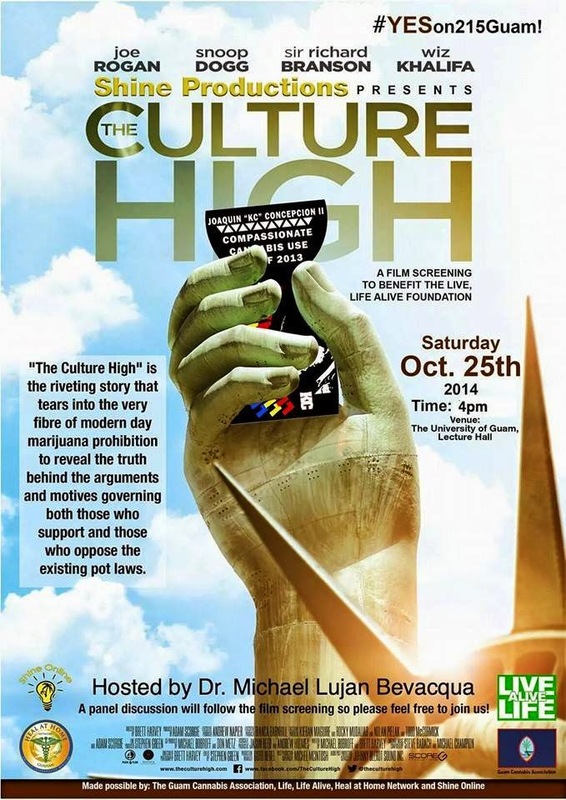 But sharing this part of our heritage with her reminded me of my long forgotten series of Paluman Marianas. 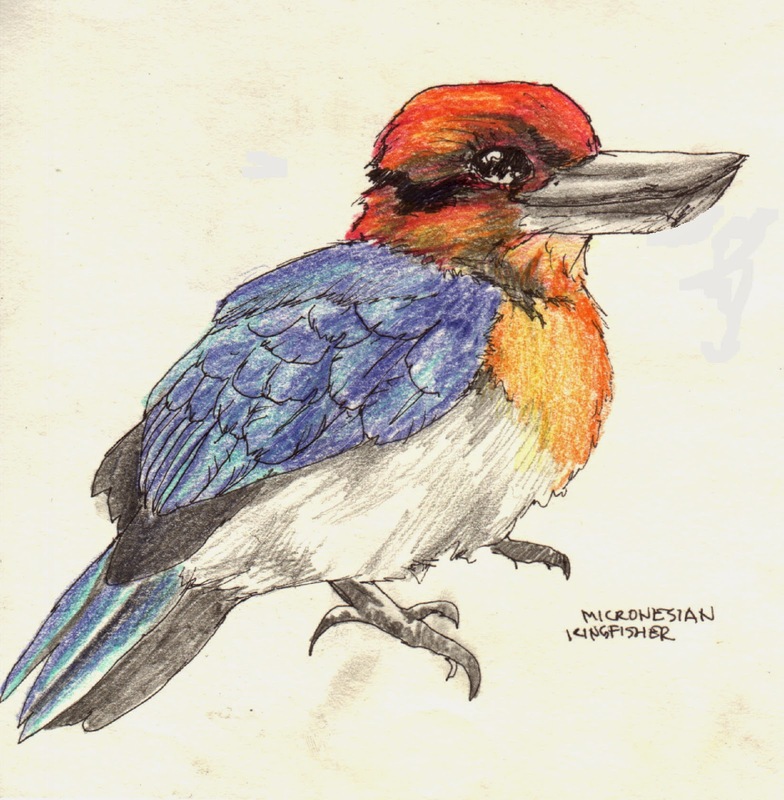 I wanted to add another one today, #2: I sihek, the Micronesian Kingfisher. TOKYO -- Wartime actress Yoshiko Yamaguchi, who later served 18 years in the upper house of the Japanese Diet, died of heart failure at her home in Tokyo on Sept. 7, her family announced. She was 94. She grew up in Japan-occupied Manchuria, which is now northeast China, and debuted under the Chinese screen name of Li Hsianglan (Ri Koran in Japanese) in 1938 as a member of the Manchuria Film Association. She broke out in Japan with the 1940 film "Shina no Yoru" ("China Nights"), starring opposite Kazuo Hasegawa. The song "Soshu Yakyoku" ("Suzhou Serenade"), which she sang in the film, also became a big hit. When she held a concert in Tokyo in 1941, there was famously a line for tickets that circled the theater more than seven times. 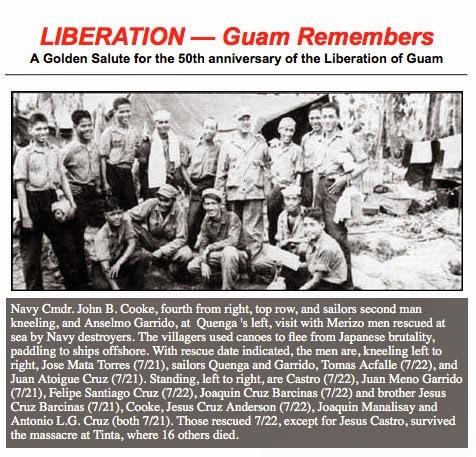 The article below comes from the Liberation Day commemorative booklet published in 1994 on the 50th anniversary of the retaking of Guam by American forces during World War II. It covers the story of the men of Merizo/Malesso' in the south, who fought and killed the Japanese in their own village, liberating themselves prior to the US return. For the past six months I've been working with one of the last survivors of this fight against the Japanese, Mr. Jose Mata Torres, featured in the article. Hopefully in the next few weeks we'll be publishing his memoirs of the war titled Massacre at Atate. Until then, here is the article telling the story from a slightly different perspective, written by the late PJ Borja. In July 1944, the ships of the U.S. Navy could be seen off Merizo, almost as close as the waves rushing over the reefs that fringe the southern village. 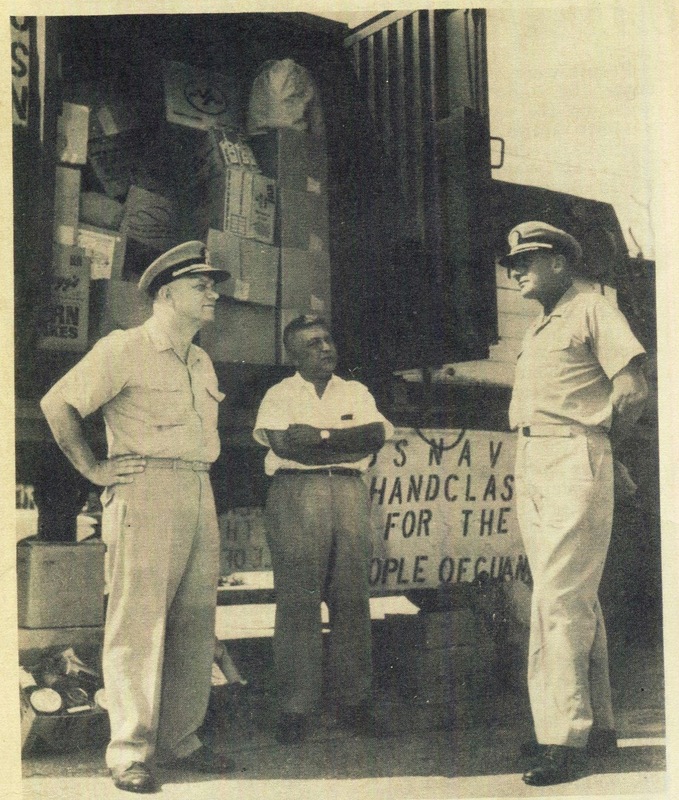 In this picture, former Governor of Guam Manuel Guerrero is seen talking to US Navy officers during the rehabilitation period following the devastation caused by Typhoon Karen in 1962. Typhoons Karen and Pamela were not only devastating in a physical sense, in that they caused a great deal of damage, they were also devastating and transformative in a social sense, in that the island that was rebuilt after them was very different than the one that had just been obliterated. After both of these typhoons, the US Federal government assisted in rebuilding, even to the point where not only did people start building concrete homes, but new division through new subdivisions were also formed. The days of wooden homes and tin roofing was over for many people after these storms as the reconstruction money allowed them to build new and sturdier homes.